With the final recommendations by Secretary Zinke and Congressional Greg Walden asking Donald Trump to reduce the size of the Cascade Siskiyou National Monument to facilitate more logging, it behooves Oregonians to work towards increasing the protection of this unique area. It is well established that many national monuments designated by Presidential proclamation eventually become national parks. So it’s time for Oregon’s Senators, Merkley and Wyden to issue a counter-assault and introduce legislation into the Congress to create a much expanded Cascade Siskiyou National Park. There are many good reasons to establish a Cascade Siskiyou National Park. The first is its unique biological attributes. At the crossroads of several major ecosystems including the Great Basin, Cascades, and Siskiyou/Klamath regions, the CSNP would help to preserve the area’s special biological attributes which include fine stands of old growth forests. National Parks are the “gold standard” for conservation. A second reason, that Zinke and Walden who are nothing more than puppets of the timber industry overlooked is economics. Surprising to some, despite the way Oregon’s politicians like Walden bend over backward to increase logging on Oregon public lands, the timber industry’s contribution to jobs is relatively insignificant these days. For instance, in 2015 the timber industry directly or indirectly accounted for 36,000 jobs or 2.4% of the job in Oregon. Worse for timber is that employment is declining for a host of reasons including automation, competition with wood products in other regions, and shipment of raw logs overseas. By contrast, Tourism and tourism-related employment in Oregon is increasing. Furthermore, this sector was responsible for 244,437 Oregon jobs or 16% of all jobs in the state. In other words, tourism and tourism-related industry already provide 8 times more employment than the timber industry. And before one dismisses tourism jobs as nothing more than flipping burgers, think again. Many entrepreneurial businesses are created with good incomes for owners and workers. And while tourism and outdoor recreation are critical to the state’s economy, these statistics understate the real value of protecting Oregon’s landscape. Many people unconnected to tourism and the outdoor industries relocate to Oregon to run their businesses or retire attracted by the natural landscape. People like living near national parks, wilderness areas, and other protected landscapes. These “Footloose” entrepreneurs and retirees bring their money with them and spend it locally. So Zinke, Walden, and Trump are destroying one of the special places in Oregon to “maybe” provide some short-term jobs in the timber industry. Third, despite the abundance of spectacular landscapes in Oregon, the state is far behind other states in terms of lands protected in the National Park System. For instance, California has 28 national park units, Washington has 18, and Oregon has only 5. And really the only park unit of any significance is Crater Lake National Park. It is well established that national parks are important for stoking economic activity. While Presidents can declare national monuments, only Congress can establish a national park. So I am calling on Oregon’s senators to sponsor legislation that not only restores all the acreage within the Obama national monument but expand the boundaries to protect even more of this unique landscape by including the Siskiyou Crest area west of I-5 and the Wild Rivers coast lands surrounding the Kalmiopsis Wilderness. 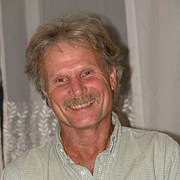 George Wuerthner has published 38 books including Protecting the Wild: Parks and Wilderness as the Foundation for Conservation. Great idea, George ! Think no small thoughts ! It is just a matter of time. When Mr Robert Mueller of the FBI reaches the truth; When it comes about the intent of this administration. This is president is from new York a real land grabber and thief. Under the guise of being a builder. We must All be at the Ready to defend any National Park in the North west or any other region of the US. It does not belong to the politicians.